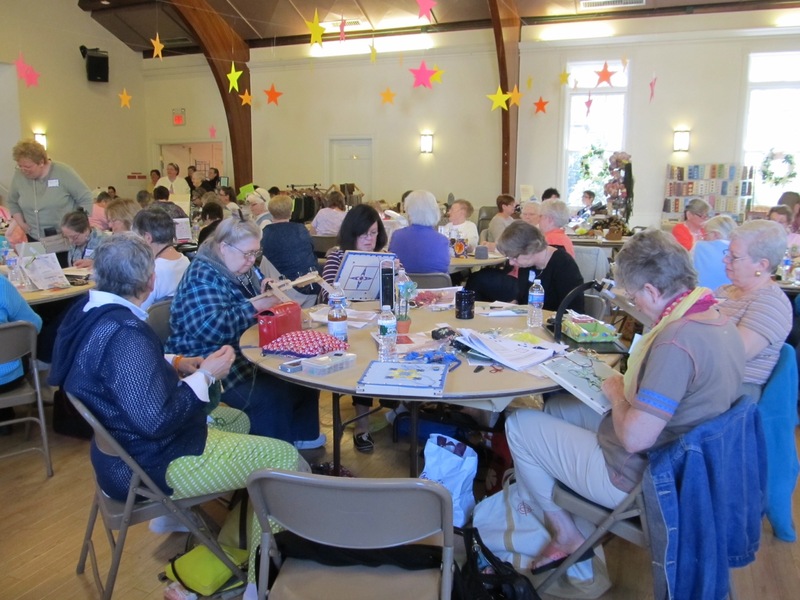 NJ Needlefest — Year Two! | NJNA is Blogging! 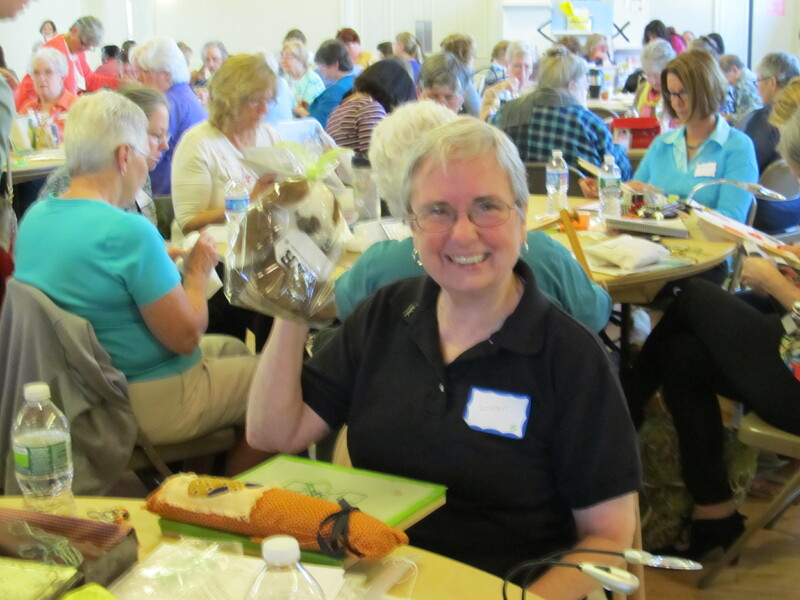 NJ Needlefest — Year Two! 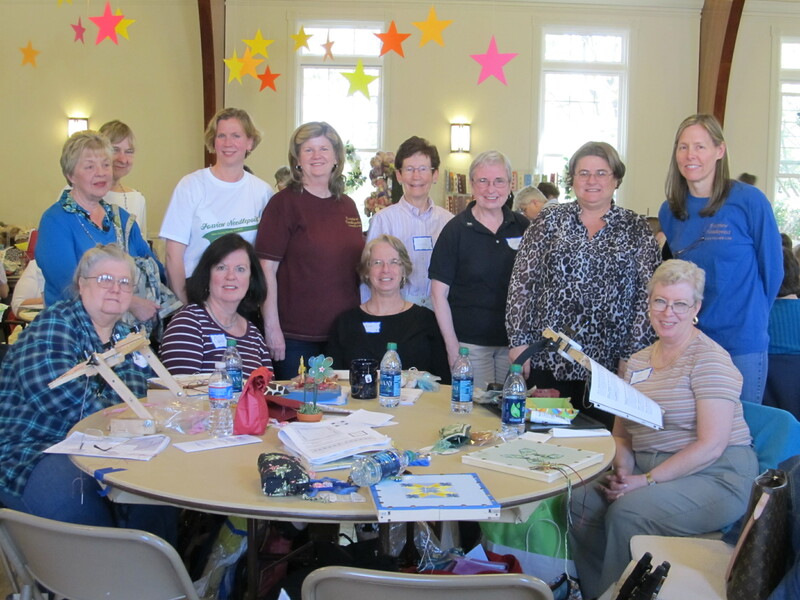 Today was the second annual New Jersey Needlefest in Pluckemin, NJ. The NJNA was well-represented at this event. 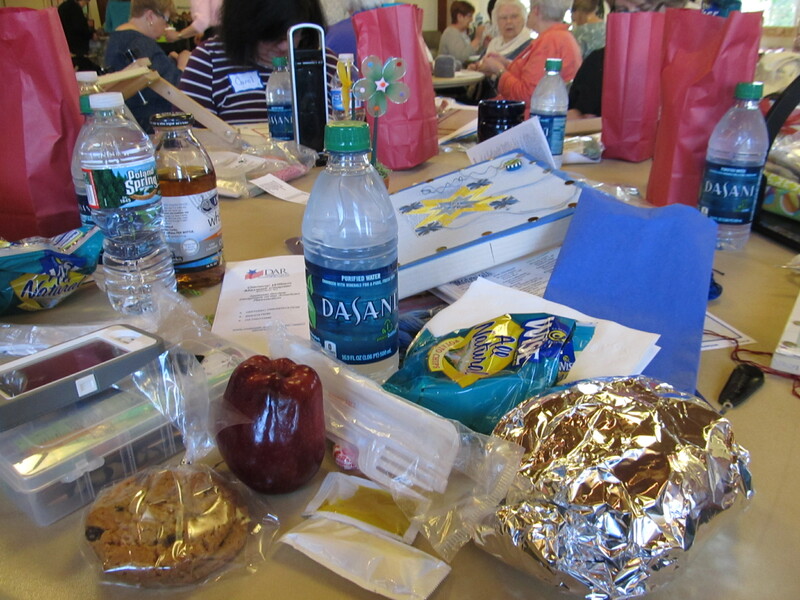 There were seven stitchers at our NJNA table and Sue C, Gwen, Rona, and Mary were all sitting with other groups. Pam, Dee, Carol, Diane, Linda, and Kathy at the NJNA table! A lot of our NJNA stitchers were working on St. Margaret’s Star and we attracted a good deal of attention as others stopped by to view our different colorways and even variations in the same over-dyed threads. Later in the day, Joan and Nancy stopped by to say “Hi” and to shop at the vendors! Some (but not all) of NJNA attendees! 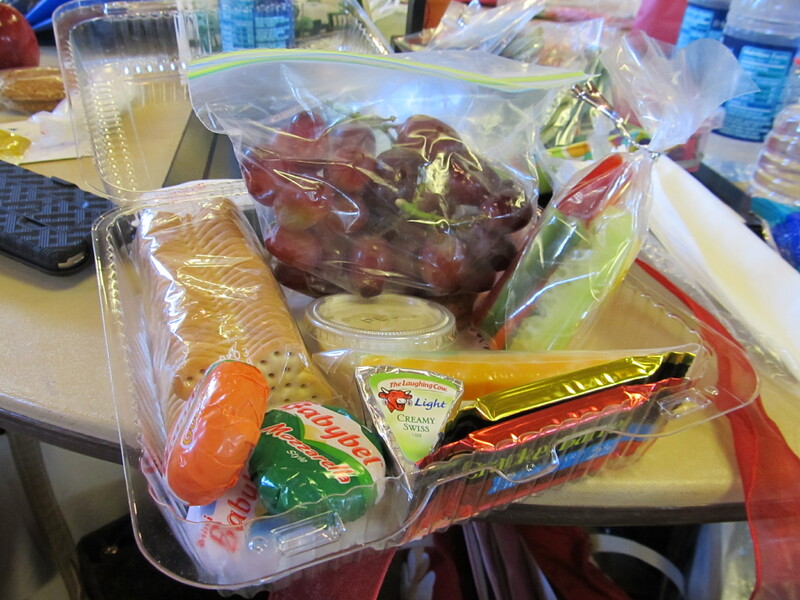 The lunches were made by the DAR who donates all proceeds to the Veterans Hospital. We are so grateful that Susan chooses them to be the lunch vendor. Don’t these look delicious? 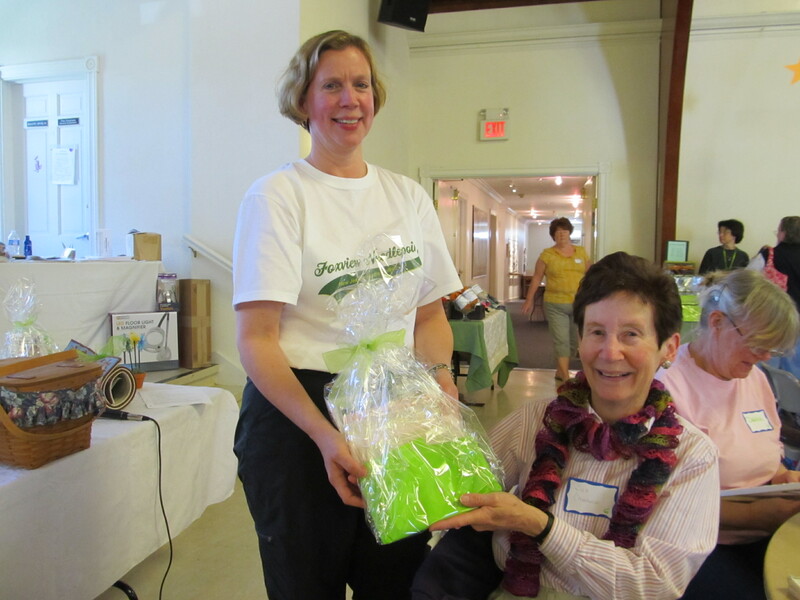 Gwen and Sue C both won door prizes — so even though the NJNA table wasn’t so lucky, our members certainly were! Gwen proudly displays her door prize! Susan presenting Sue with her door prize! Members or our chapter were thrilled to reconnect with some former chapter members and we hope that our friendliness and enthusiasm will entice them to rejoin NJNA. All in all, we had a wonderful day of stitching with friends — and I can’t think of anything better! Susan did a great job putting this together. It was a wonderful event and enjoyed meeting so many stitchers who were working on such a wonderful array of projects. I’ll be back next year. Hopefully, I’ll see many of you well before then!